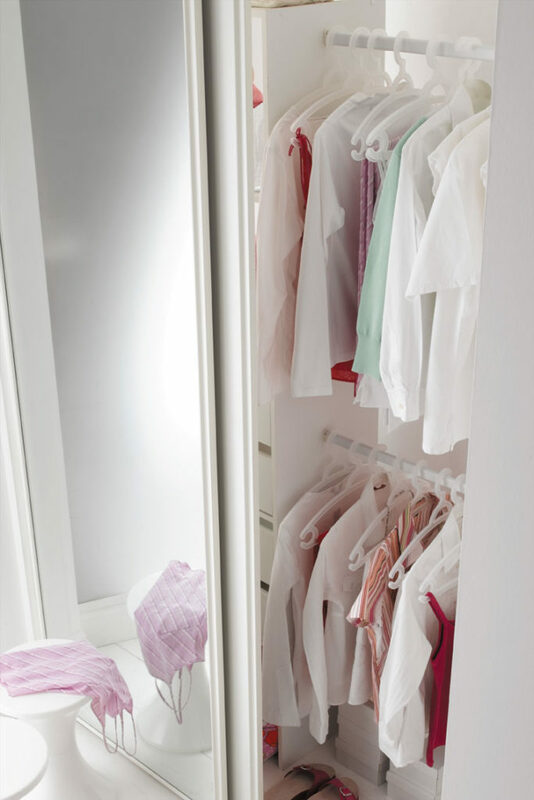 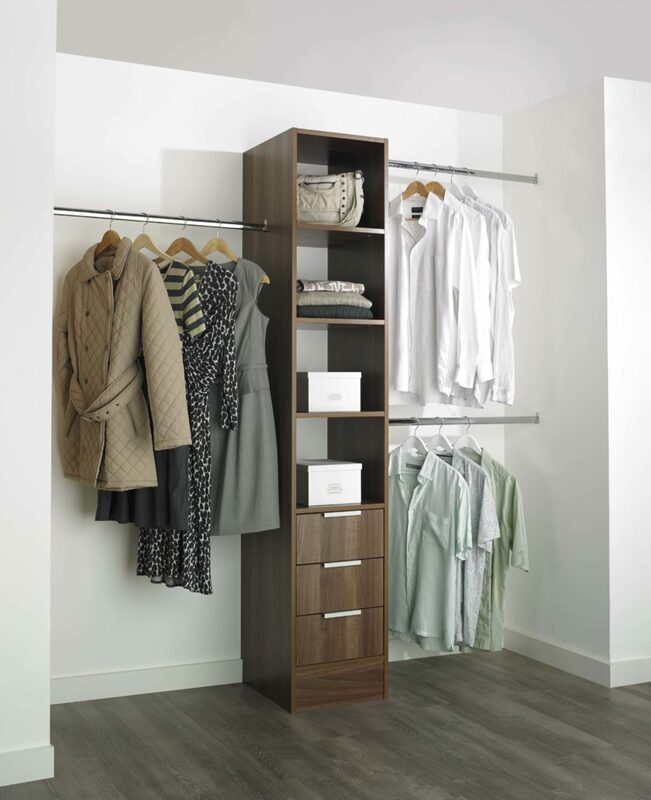 Here you will find complete wardrobe storage kits to go behind your doors. This saves you designing an interior yourself. 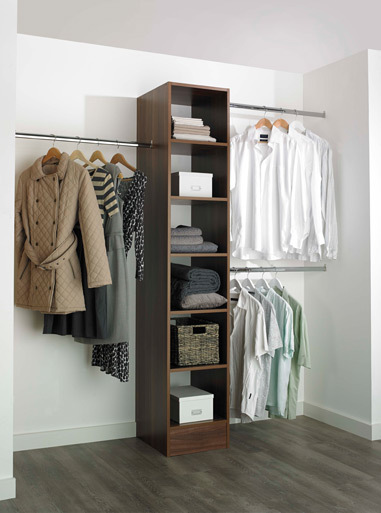 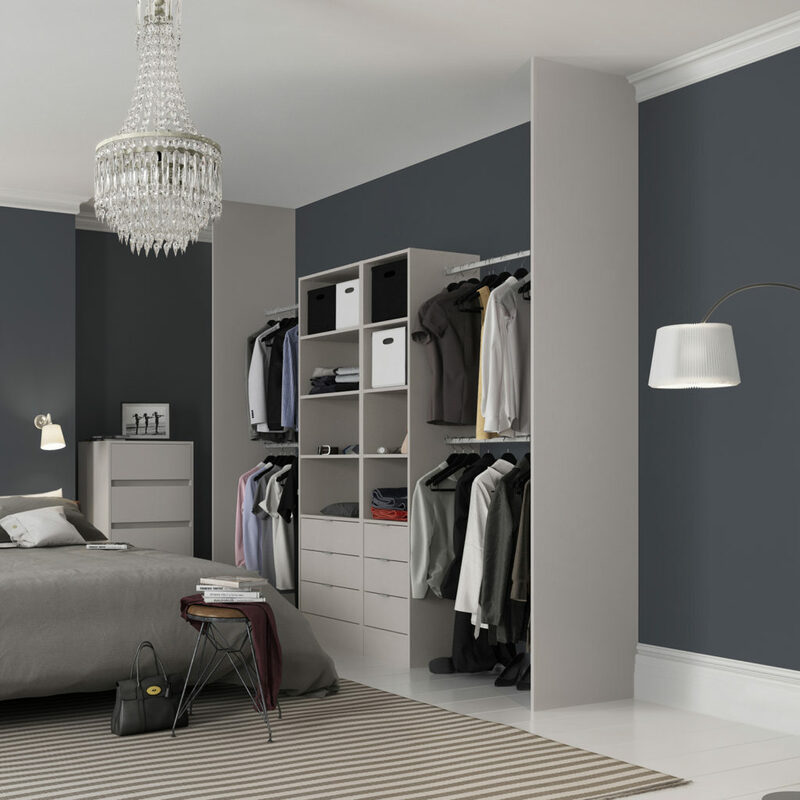 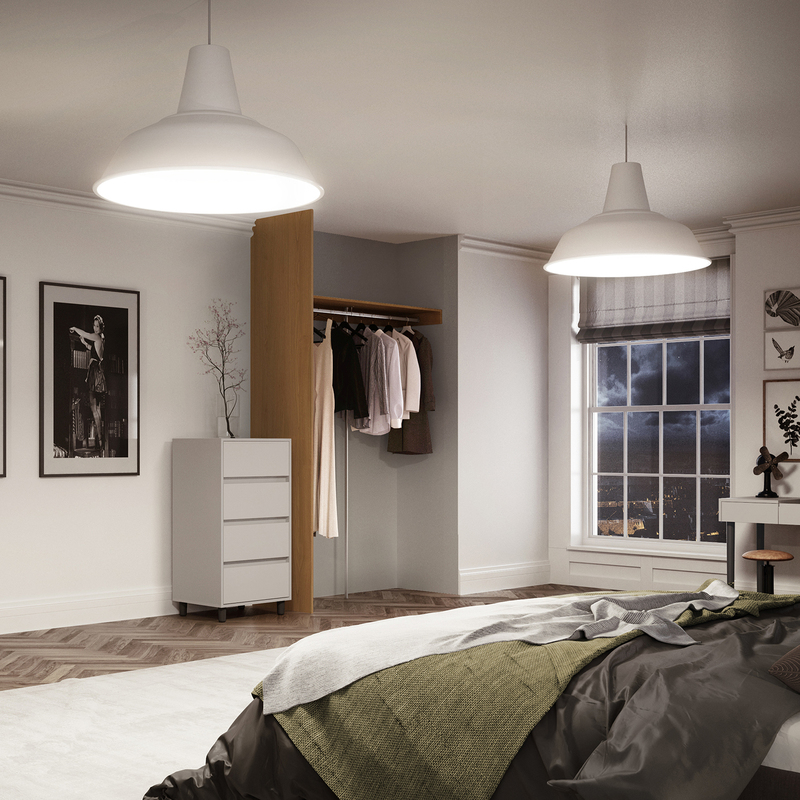 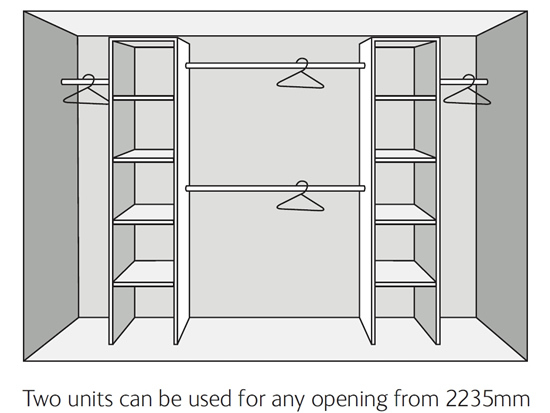 You can combine kits for larger wardrobes. 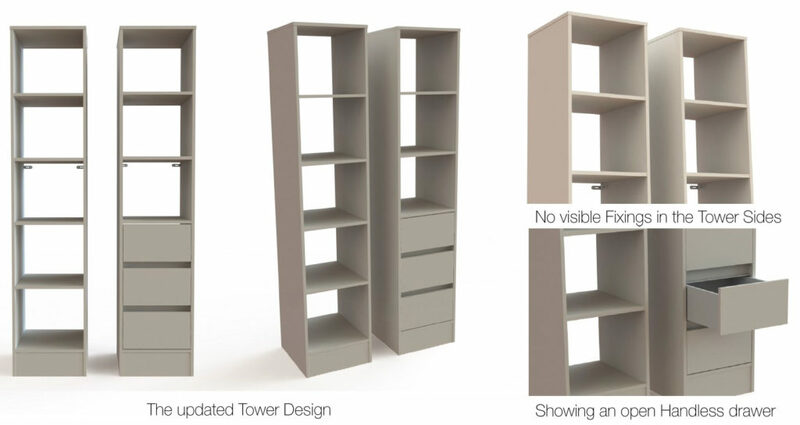 The economy storage tower is a simple, practical and low cost solution to your most basic storage needs. 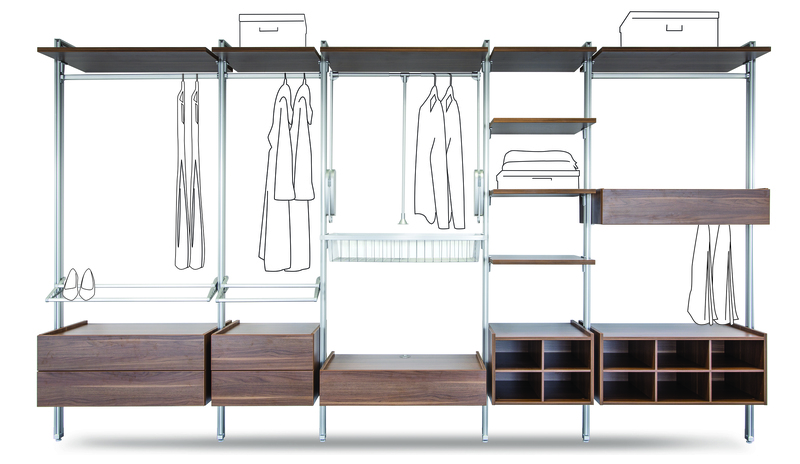 Comprising plenty of long and short hanging, and some shelves. Its made from 15mm MFC and only available in white. 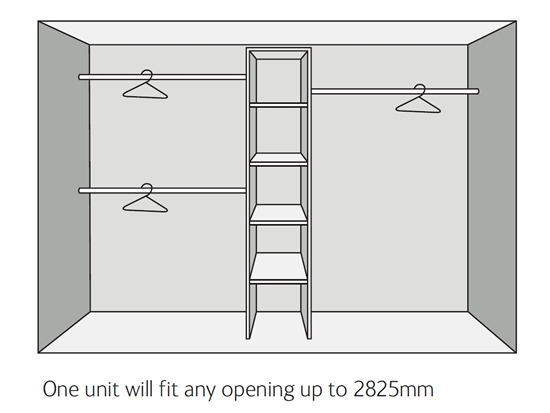 The premium interior pack range is made from thicker 18mm board with a strong cam and dowel construction. 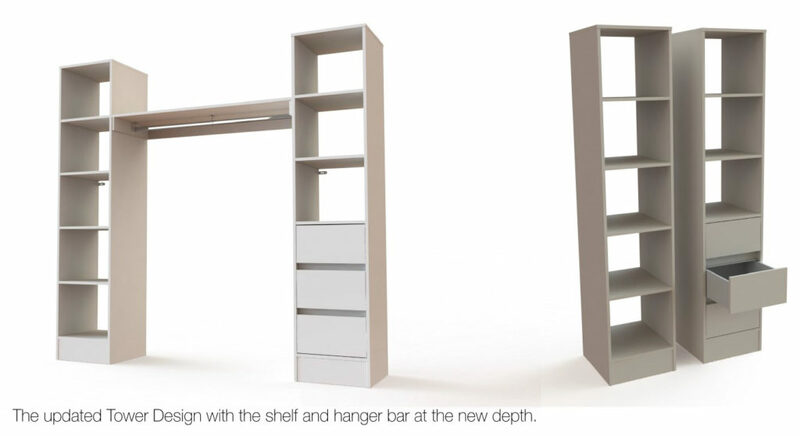 Some of the shelves can be moved in height to suit your needs, and the range is available in a wider range of colours. 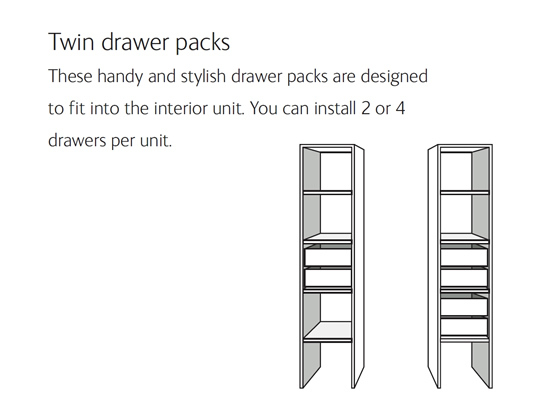 Drawers have solid 8mm bases and soft close drawer runners. 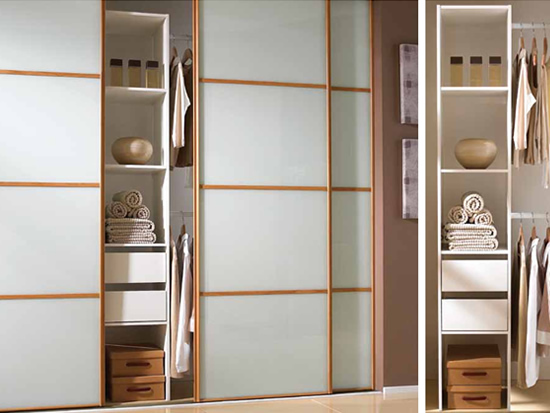 The Alume interior is our premium ‘stanchion’ interior. 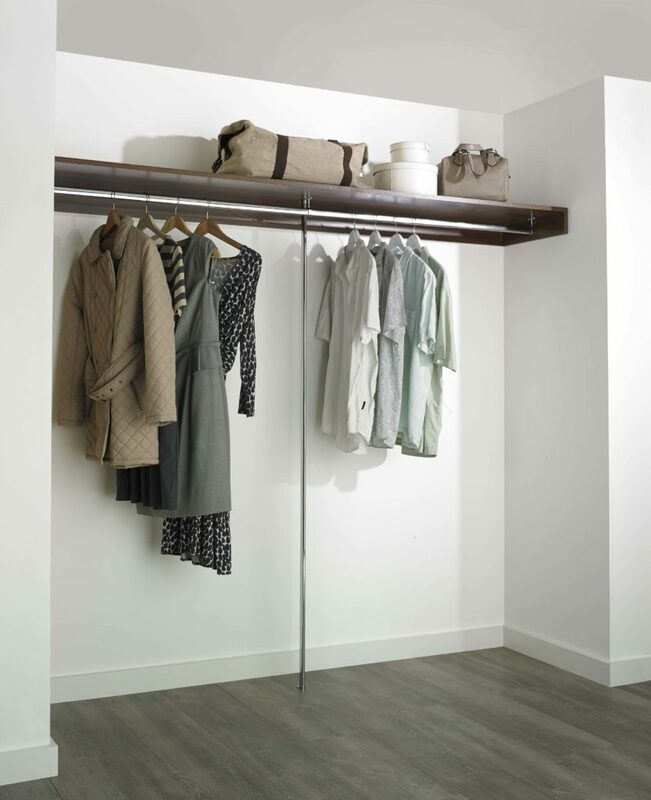 The vertical stanchions and hanger bars are made from high quality extruded aluminium with infinite height adjustment for the horizontal components. 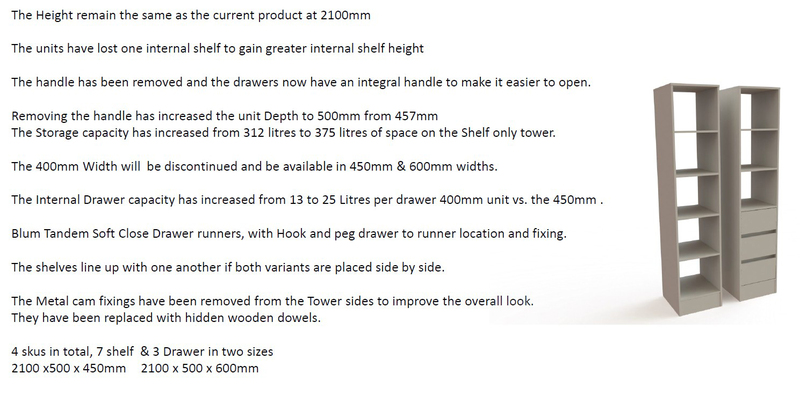 Although the kits show a fixed design, you can actually move the components to wherever you choose, now or in the future, should your requirements change. 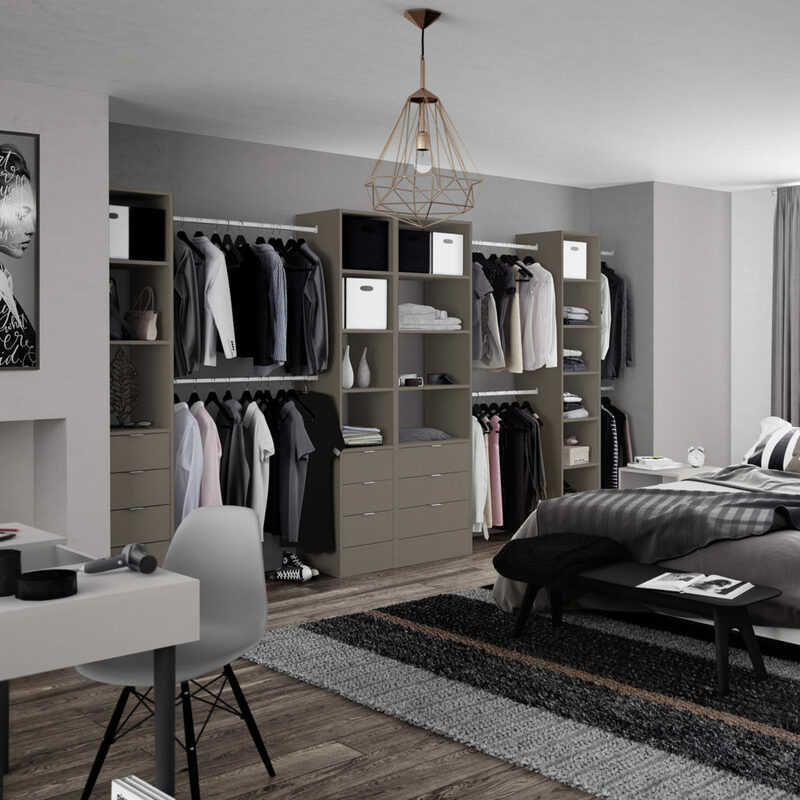 You can also add extra components from the ‘individual components’ section of the website, or use the Alume modular design tool to create your own design.